Real-life clinical scenarios test all relevant basic science concepts. 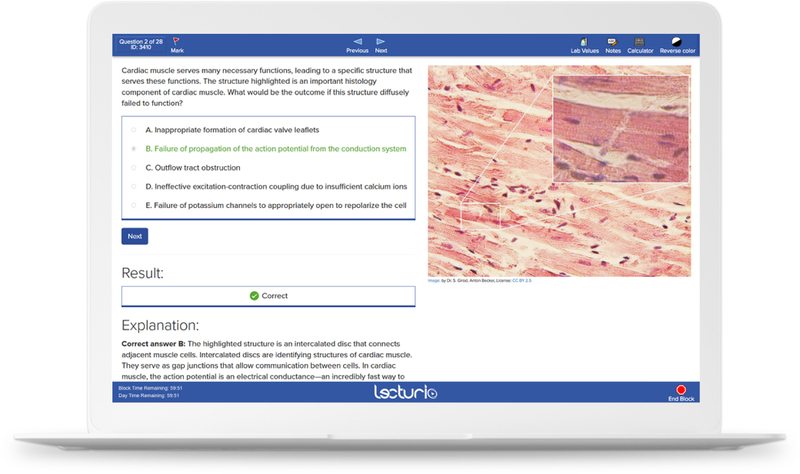 The Lecturio Bookmatcher offers the fastest way for you to find relevant videos for topics in your First Aid® textbook. 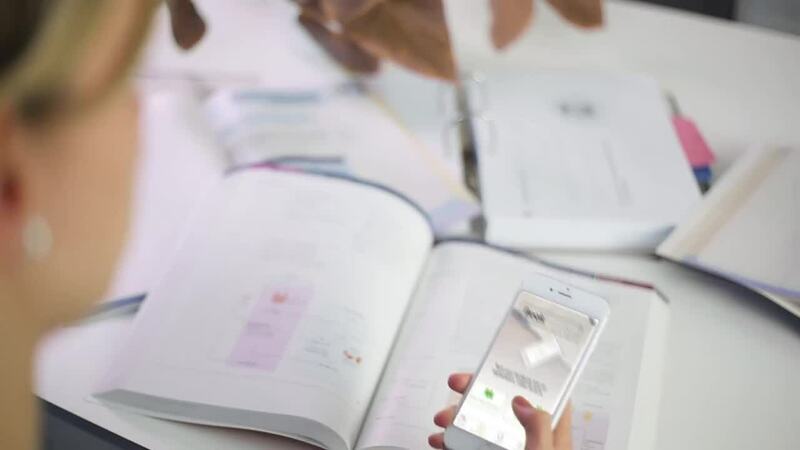 By simply entering the page number of your First Aid® for the USMLE® Step 1 or by scanning the relevant page with a smartphone, you are instantly guided to all applicable videos for your current topics. 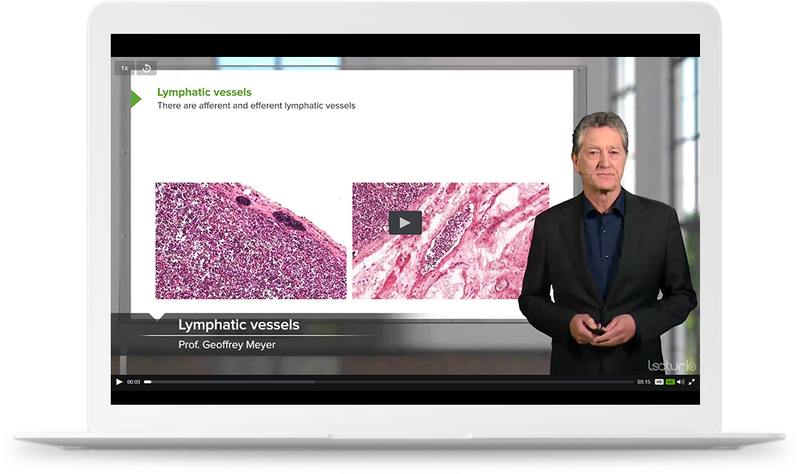 What is the USMLE Step 1? The United States Medical Licensing Examination (USMLE) is a three-step examination for medical licensure in the US, licensed by the NBME. All physicians with an M.D. degree must pass all three steps of the USMLE exam before applying for a license to practice medicine in the United States. The exam is the same for every student. The USMLE Step 1 is a test that assesses your understanding of the important concepts of basic medical sciences. The test focuses on the principles and mechanisms of health, disease, and modes of therapy. How many USMLE questions are on the Step 1? The USMLE Step 1 consists of seven 60-minute blocks of questions that are administered in an 8-hour testing session in one day. The number of questions per block does not exceed 40. The total number of test items in the USMLE Step 1 does not exceed 280. What is the format of the USMLE Step 1? The test items in the USMLE Step 1 are single-item questions. Usually, there is a patient-centered vignette that is associated with one question, followed by four or more response options lettered (A, B, C, and D). You are supposed to choose the best answer to the question. If you are unsure about an answer, it is better to guess since unanswered questions are automatically counted as wrong answers. Who is eligible to take the USMLE Step 1? To be eligible to take the USMLE Step 1, you need to be a medical student who is officially enrolled in, or a graduate of a US or Canadian medical school program leading to the MD degree that is accredited by the Liaison Committee on Medical Education; or a medical student officially enrolled in, or a graduate of a US medical school leading to the DO degree that is accredited by the American Osteopathic Association; or a medical student officially enrolled in, or a graduate of a medical school that is outside the US and Canada and listed in the World Directory of Medical Schools, and to meet the other eligibility criteria of the ECFMG. You need to be in one of these categories at the time of application and on the day of your examination. How do I apply for the USMLE Step 1? To apply for the USMLE examinations, including Step 1, you must submit an application through the appropriate registration entity for the USMLE examinations. For students and graduates of US or Canadian medical schools, you can apply through the NBME Licensing Examination Services. For students and graduates of medical schools located outside the US and Canada, you must apply through the ECFMG using the Interactive Web Applications services. Both options can be accessed via this website: www.usmle.org/apply. International students and graduates who will apply through the ECFMG will need to pay $895 for the USMLE Step 1. US or Canadian medical students and graduates need to pay $610 beginning November 15, 2017. You can extend the eligibility period of Step 1 by paying $70. $1,285 For completed applications received starting January 1, 2018. If you want to change your appointment for the USMLE Step 1 31 or more days before the first day of the scheduled test date, you do not need to pay anything. If you want to change the appointment for the USMLE Step 1 scheduled test 6 days to 30 days before the scheduled date, you need to pay $50. If you have to change your appointment 5 days or fewer before the first day of the scheduled test date, you need to pay $114 if you chose to do the test in the US or Canada; $276 if you chose to do the test in Africa, Asia (with few exceptions), Australia, China, India, Indonesia, Latin America, Middle East, or Thailand; $314 if you chose to do the test in Europe, including Israel, Korea, or Taiwan; or $506 if you chose to do the test in Japan. In US and Canadian medical schools, most students prefer to take the USMLE Step 1 at the end of their second year. For international medical graduates, you can choose to do the USMLE Step 1 whenever you want, but we recommend doing the test at the end of your pre-clinical education. You must remember that once you start taking the USMLE steps, you need to finish steps 1, 2 and 3 within a seven-year period. Do the USMLE Steps have to be taken at particular points during my medical education and career? It is generally advisable to do the USMLE Step 1 at the end of your basic medical sciences courses; however, you should check your eligibility for ECFMG certification first. The USMLE Step 2 exams are usually taken in the fourth year of medical education in US and Canadian medical schools. For international students, we advise you to take the tests in the final year of your medical education or during the internship. It is important to remember that you must finish all the three steps of USMLE within a seven-year period once you take your first step. For a fresh international medical graduate, it might be reasonable to start with the USMLE Step 2 before Step 1. I am a graduate of a medical school outside the US and Canada. Can I take the USMLE? If your medical school is registered at the World Directory of Medical Schools and you meet the Educational Commission for Foreign Medical Graduates (ECFMG) eligibility criteria, then the answer is yes; you can take the USMLE steps. The ECFMG assesses the readiness of graduates of medical schools outside the United States and Canada to enter residency or fellowship programs in the United States. What is covered on the USMLE Step 1 exam? The USMLE Step 1 examination covers content related to the following disciplines: anatomy, behavioral sciences, biochemistry, biostatistics and epidemiology, pathology, microbiology, pharmacology, physiology, genetics, aging, immunology, nutrition, and molecular and cell biology. The content of the USMLE Step 1 examination can be divided systems or processes based. The USMLE Step 1 examination is also organized by physician task and competency, such as medical knowledge, patient care: diagnosis, patient care: management, communication, and practice-based learning and improvement. How much basic science material from the USMLE Step 1 will I end up remembering in the long term? Unfortunately, most studies showed a decline in the recall of basic science material after taking the USMLE Step 1 in the long term. To improve the recall of basic science material, medical schools are now including more clinically relevant material during the first two years of medical school. Moreover, the most recent USMLE Step 1 examinations have 70% of the test items in a patient-based format. How is the USMLE Step 1 examination day and testing going to take place? On your examination day, you must present a valid identification that shows your photo, your name as it appears on your permit, and your signature. Acceptable forms of identification include passport, driver’s license with photograph, national identity card, or any dated government-issued identification. You should review the USMLE Rules of Conduct prior to taking your examination, follow all test center staff instructions on the day of your examination, bring a copy of your scheduling permit, arrive 30 minutes before your testing appointment, confirm that your headphones are working during the tutorial, and be sure to complete all sections of the examination. You should not take the test if you are ill, you should not bring family or friends to the testing center, bring unauthorized items to the testing room, access your locker, or use your cell phone on an unauthorized break. During check-in, you will be scanned with a handheld or walk-through metal detector, be asked to empty and turn your pockets inside out, place your personal belongings in a bin, have your photo identification checked, be fingerprinted using biometric technology, and write your unique Candidate Identification Number on one of the laminated note boards provided. This process will be repeated each time you re-enter the testing area after an authorized break. For computer-based examinations, including the USMLE Step 1, Step 2 and Step 3 examinations, you are not allowed to bring any personal items except soft-foam earplugs without strings. If you want to bring soft-foam earplugs to the testing room, you need to remove them from the packaging and have them inspected by the test center staff. You must leave the soft-foam earplugs at your workstation during all breaks. What is the passing score on Step 1? Since January 1, 2018, the recommended Step 1 minimum passing score changed from 192 to 194. This change affected examinees who took a Step 1 examination after January 1, 2018. The USMLE scores for all three steps range from 1 to 300. As the content and format of each exam changes over time, comparisons should not be made of individual scores separated in time by more than 3 - 4 years (see also USMLE score interpretation guidelines). Most scores fall between 140 and 260. The mean score for first-time examinees in the US is in the range of 215 to 235. Furthermore, the NBME publishes USMLE performance data in its annual report. What is the average Step 1 score? Hospitals commonly use the score to determine eligibility for residency and to decide whether to grant an interview or not. There are significant differences between residency specialties and both USMLE Step 1 and Step 2 CK scores. Find the average Step 1 score to enter certain specialties here. How much is my performance on the USMLE exams affected by the medical school I attend? According to a recent study by Hecker and Violato published in the peer-reviewed journal Teaching and Learning in Medicine, individual student differences account for most of the variation in USMLE performance. Differences in medical schools’ policies and curriculum contribute very little to the differences in the USMLE Step 1 scores. Are my MCAT scores predictive of my USMLE Step 1 performance? The relationship between MCAT and USMLE Step 1 scores is complex and small. Being in the top or bottom scoring range of the MCAT exam might be predictive of being in the top or bottom scoring range of the USMLE Step 1 exam; however, this association was found to be weak. Because of the weak association between the two, we emphasize that preparing for the USMLE Step 1 is the best tool to score high on this test. Is my USMLE score affected by whether my medical school has a problem-based or traditional curriculum during the basic science years? Most likely, the curriculum or educational policies of your medical school have little to no effect on your USMLE Step 1 score. How long does it take to get my Step 1 score? Results for the USMLE Step 1 examination are typically available three to four weeks after your test date. In some cases, it might take up to eight weeks before your test results become available. Once available, your test results will remain on your registration entity’s website for approximately 120 days from the date of email notification. After that, the test score report is going to be removed from the website and will be available in the form of an official transcript, for a fee, through your registration entity. Can I retake the USMLE exam to raise my score? You are not allowed to retake the USMLE exam to raise your score. You might retake a step that you have previously passed only if you want to comply with the time limit imposed by a medical licensing authority. How many times can I take the USMLE Step 1? You are allowed to take the USMLE Step 1 exam six times in total. You may not take the same step more than three times within a 12-month period. Your fourth and subsequent attempts must be at least 12 months after your first attempt at that step, and at least six months after your most recent attempt. If you fail the USMLE Step 1 examination, you must re-apply to retake the exam. You may choose to retake the exam in the same eligibility period of your previous exam, or after the eligibility period. Generally, you do not need to take the USMLE steps if you already hold a license in one US state and you choose to move and practice in another state. However, it is advisable to check the Federation of State Medical Boards website www.fsmb.org for more recent information about this issue.